This gorgeous, 3 bedroom apartment in Barcelona, situated in the Poble Sec area, provides the perfect setting for your stay. The area is filled with plenty of amazing bars and restaurants, and you’ll find the trendy Raval and Sant Antoni neighborhoods just 10 minutes away on foot. You’ll be well connected to the rest with the city with 2 metro stops nearby. The apartment has 3 bedrooms containing 4 single beds and 1 double bed, a double sofa bed can also be found in the living room. It can sleep up to 8 people in total. The apartment has been recently refurbished and is decorated in a modern style. This apartment has all the necessary features to ensure that you’ll feel right at home. The kitchen is fully equipped, allowing you to prepare home-cooked meals. You’ll also have access to a balcony and a private terrace. 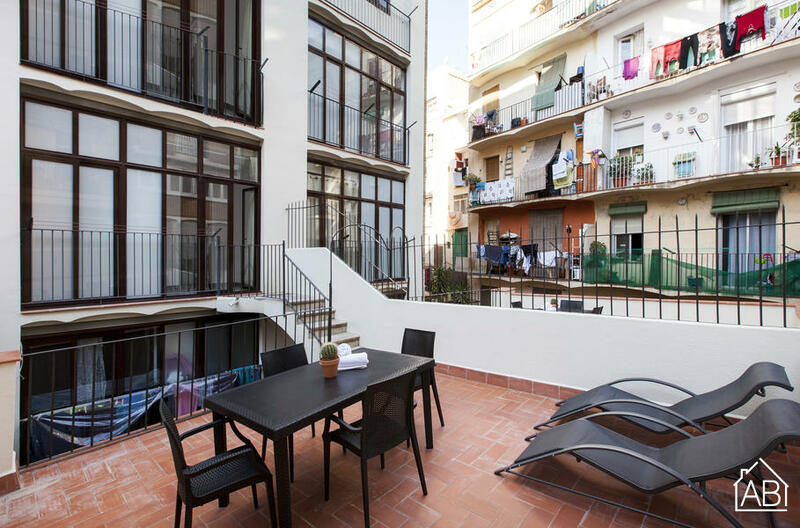 The apartment comes with internet connection, a dishwasher, a washing machine and air conditioning, making this the ideal apartment for your stay in Barcelona.